In the early 1990s, I worked for Christian Book Distributors. They were a forward thinking company that cared a great deal for their employees. Periodically they gave out health brochures. In one of these, I read about Sodium Laureth Sulfate and Sodium Lauryl Sulfate and how these chemicals were in our hair products and caused hair loss. I went home and checked, finding out that my hair products did indeed have these chemicals in them. I did a personal test. When I used them I had a handful of hair, when I used products without them, two or three strands. Needless to say, I watched what I bought for a long time. Unfortunately as time passed, I became less vigilant. So recently I decided to look these chemicals up to find out if what I read so long ago was true. I find that it’s worse than just a loss of hair. Sodium Laureth Sulfate and Sodium Lauryl Sulfate (SLS) are foaming agents called surfactants. Sodium Lauryl Sulfate (SLS) is the worse. These chemicals are found in shampoos, conditioners, soaps and TOOTHPASTE! They can damage hair follicles, skin, give permanent eye damage in children, and cause liver toxicity. The Journal of the American College of Toxicology in 1983 showed that 5% concentration of SLS could cause skin irritation. 10 to 30% caused skin corrosion. Some soaps have 30%. Why would companies use these dangerous products? – They’re incredibly cheap and Americans associate suds with clean. Please google these products and read for yourself then check your health care products and make better choices. When our kids were young we were able to take a month and visit most of our country’s major national parks. We traveled to Mount Rushmore through the Black Hills to Yellowstone and the Grand Tetons, up to Montana and down through the Redwoods and the Sequoias. Ending our trip, we visited the Grand Canyon and Carlsbad Cavern. It was all exciting and very interesting. Yellowstone was fascinating with Old Faithful and other geysers soaring high. The numerous hot springs had colorful mineral deposits glowing in their depths. We enjoyed the woodland and the many vast roaming herds of bison and antelope that live there. Little did I know, we were walking and driving on an active volcano. Yes, Yellowstone is an active supervolcano! AND it has erupted! Of course, as you may have guessed. that was ages ago. But scientists say it is still possible today and may even be overdue. There are two massive chambers of magma miles below Yellowstone. (Magma is what lava is called while it’s still underground.) One chamber was measured in 2013 to be fifty miles by twelve miles. The second, underneath this one, was found later. The heat and pressure, geothermal activity, from these chambers are the reasons for the superheated geysers and springs. If that pressure were to build up, an explosion, much worse than Mount Saint Helen, would devastate several states. Scientist believe we would have ample warning if this was about to take place. For which we are all so very thankful. So, if you get the opportunity to visit, I highly recommend going to Yellowstone. Enjoy the amazement of walking on top of an active volcano. Born in 1916 he was an average mixed breed with signs of Boston Bull Terrier. Just a homeless mutt who attached himself to a training unit at Yale University in Connecticut. Little did the troop realize, when they befriended him, how beneficial this little dog would be to the troop. He became the most decorated war dog of the first World War. He was the only dog issued a rank and became a sergeant due to combat. He became the mascot of the 102nd infantry division, assigned to the 26th Yankee division. He served for eighteen months and was in seventeen battles. Though the regiment befriended him, he had one special friend, Corporal Robert Conroy. Conroy hid Stubby on the troop ship when they were deployed and smuggled him into France. When he was discovered by the commanding officer, he was given a salute and permission to stay. Stubby entered combat February 5, 1918. He was under constant fire, day and night, for over a month. In April, he was wound in the leg by a grenade. He was sent to the rear to recover. While there he raised the troops morale. When he recovered, he went back to the front. That year, he was also injured by mustard gas and issued his own gas mask. With his sensitive nose, he learned to warn the troops at the slightest detection of mustard gas. His dog hearing also allowed him the ability to warn the troops of incoming artillery. He also would find injured soldiers in the trenches and signal for help, while staying with the soldier. He was once approached by a soldier, who he attacked and held till troops came and found him to be a German spy. Then he was once more injured in the chest and leg by a grenade. After the eighteen months, Conroy smuggled Sgt. Stubby home. Sgt. Stubby had been in many newspapers and came home a hero. He marched in parades and actually met Woodrow Wilson, Calvin Coolidge and Warren G. Harding. In his retirement, he went to Georgetown University Law Center with Robert Conroy and became the school mascot. Sgt. Stubby died in his sleep in 1926. His obituary was printed in the New York Times. 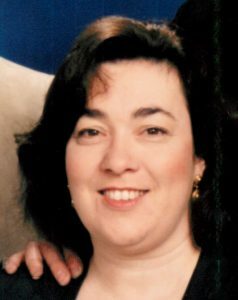 In 2003, Catherine Roberts’ son was in Iraq. While he was there she had a dream. She saw a young soldier sitting on his bunk. His head hung low in despair. Her heart went out to this young man. As she watched the scene changed. The man became wrapped in a quilt. His countenance changed to hope and comfort. When she woke up an idea was birthed in her heart. Quilts of Valor soon became a reality. Their mission statement – The mission of the Quilts of Valor Foundation is to cover service members and veterans touched by war with comforting and healing Quilts of Valor. Quilts of Valor now has over 10,000 quilters who agree with their mission statement. As of today they have given 133,473 quilts away. These quilts are all top quality, made by women and men around our country. All quilts are either hand quilted or machine quilted, none are tied. My sewing group has started meeting once a month to work on Quilts of Valor. There are now eight ladies in the group. We have five quilts completed and will be awarding our first quilt in the next week. So many of our service members have had to face the horrors of war. We want them to know, we care. For all who have shown an interest in my books but have not yet purchased. I have uploaded a sample for you to view. I hope you will enjoy this true to life story of the orphan train riders. Books may be purchased at Amazon.com or you may send a check for $12.95 ($9.95 plus $3.00 shipping) to Carolyn Johnson, PO Box 311, Arapaho, OK 73620. If you would like it autographed, please include name. Not all Indians fought the new influx of European people. The Chickasaw people had good relations with the new white people. In 1670 the Chickasaw traded with the British. The British traded guns for captured Choctaw Indian slaves. When the French supplied guns to the Choctaw the slave raids stopped. The Chickasaw fought with Britain against the French but had not fought against the Americans. When the Revolutionary War broke out, the Chickasaw allied with the Americans. In 1791, they fought hostile tribes in Ohio for the colonists. In 1794, their chief, Piomingo, was invited to visit George Washington in his home. Washington thanked the tribe for their loyalty by giving gifts. A peace pipe was smoked between Washington and the chiefs present. Also a document was written showing the boundaries of the Chickasaw territory, which included the western half of Tennessee, parts of Mississippi, and Alabama. It provided protection for the Chickasaw people against white abuse. Washington also assured the tribe that they would never lose their land. Unfortunately, the following presidents did not honor Washington’s pledge. The Chickasaw Nation was viewed as one of the five civilized tribes. They had integrated with white people and many were mixed race. Originally from the southeastern part of the United States, they were forced to sell their land and move to the Indian territory of Oklahoma in 1832. This happened as part of the Indian Removal of the 1830s. The Chickasaw people were part of the terrible Trail Of Tears. Unlike the other tribes, the Chickasaw negotiated with the government to sell the land for three million dollars. The government did pay the amount but it took thirty years for the payment to arrive. During the Civil War, the Chickasaw joined with the confederacy. Owning black slaves, resentment of lost land and suggestion by confederacy of making a Indian state lead to this partnership. The Chickasaw today are a proud and prosperous tribe. I am proud to say my husband is a member of the Chickasaw tribe. Traditional paint. Tattoos were given for bravery. This little creature is known as a clusterwink snail. 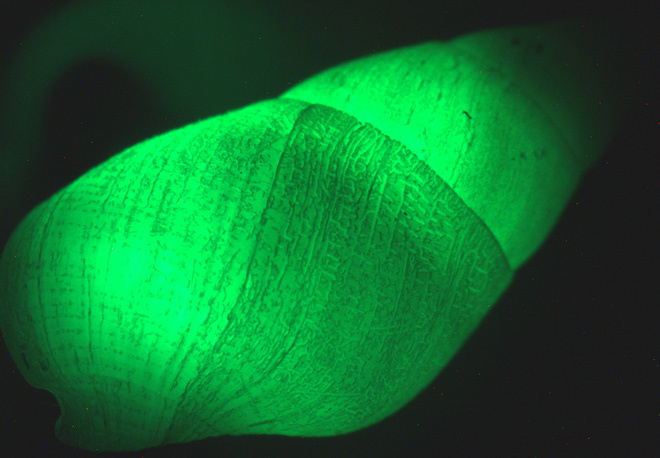 The tiny (about the size of a fingernail) sea snail gives off green luminescent light flashes to scare away predators. The flashes trick the enemy by making the snail look larger. The thick, heavy, opaque shell acts as a powerful reflector. The clusterwink snail is found along the New Zealand and Australian rocky shores. When the tide is out, the snails cluster together, hiding under rocks and in crevices. When the tide comes in, they journey out to graze on algae. Embryos of the snail are incubated in a brood chamber located internally behind the female head. When mature they are expelled into the sea. 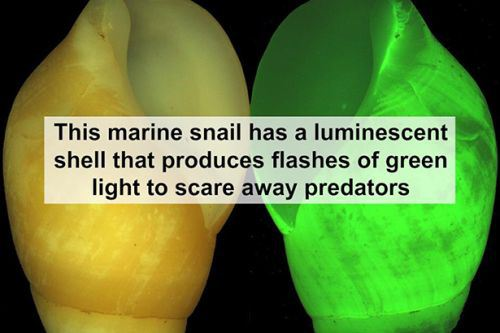 Several research studies are being done to learn the biological cause of the luminescence and how the shell works to reflect. Below shows the snail at rest and in danger mode. 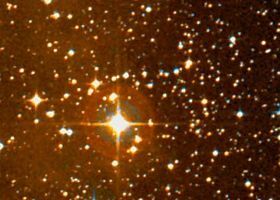 Canis Majoris (or in English – Great Dog) is our galaxy’s largest known star. It was discovered March 7, 1801 by Jerome LaLande. It is known as a red Hypergiant. This is an actual picture of Canis Majoris from the Rutherford Observatory Sept. 7, 2014. If Canis Majoris was our sun it would extend beyond Jupiter’s orbit. Our own sun is but a pin prick on the surface of Canis Majoris. An airliner would take 1100 years to fly around the star. The following clip will give you an idea of the immensity of the universe. Appealing to Heaven for the justice of our cause, we determine to die or be free. Gen Joseph Warren 1775. In 1775, this flag was used during revolutionary times. The flag was ordered by George Washington and designed by his secretary Colonel Joseph Reed. It was first used by a squadron of six schooners commissioned by George Washington, who reportedly paid for the schooners out of pocket. These ships were skilled at capturing British schooners. In 1776, the fleet of twenty-five naval vessels sailing out of Massachusetts adopted the flag. The pine tree was a symbol in New England, dating back as far as 1686. During Revolutionary times it became a symbol of colonial outrage and resistance. The white pine in New England grew to heights topping 150 feet. They were sought after for sailing masts. The English king, knowing the value of the trees, placed a mark on the larger trees claiming them for the crown. Colonist could not harvest these trees. They also had to get a surveyor and a license to cut the trees not marked. Not surprising, the colonists did not like being told what they could and could not do with their own trees. In 1775, this anger led to the Pine Tree Riot in New Hampshire. This was not the only flag, at the time, with a pine tree. 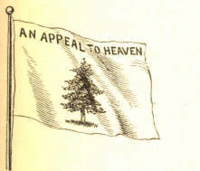 The flag that flew over Bunker Hill was red with a green pine tree in the top, left corner. The words, “An Appeal To Heaven”, was a common phrase in those days. It was used several times in historical documents, including Second Treatise on Civil Government by John Locke in 1690 and by Patrick Henry in his famous, Give me liberty or give me death speech. 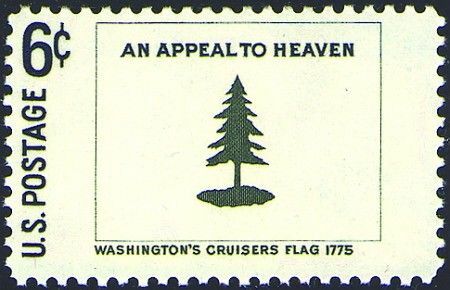 In 1968, a United States stamp was issued commemorating Washington’s flag.